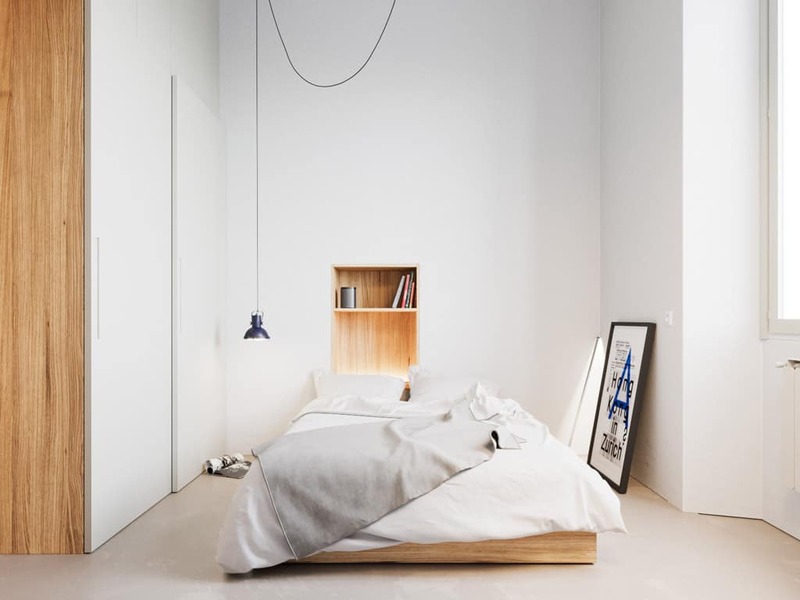 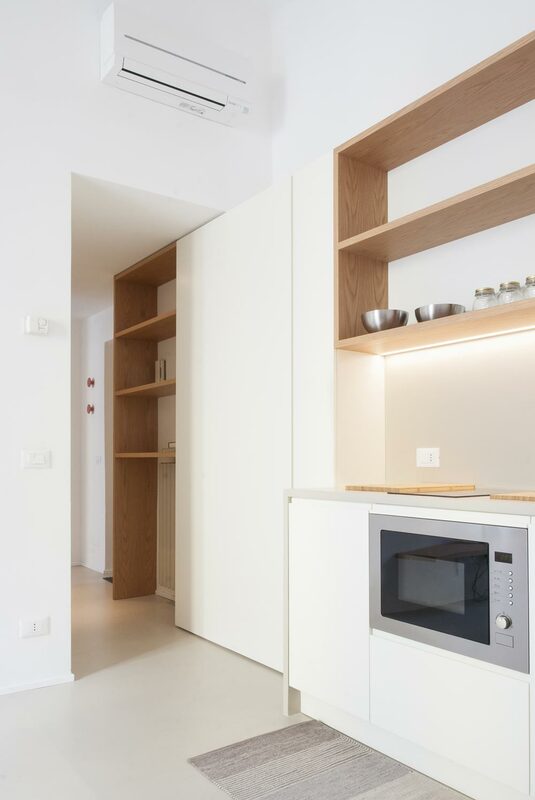 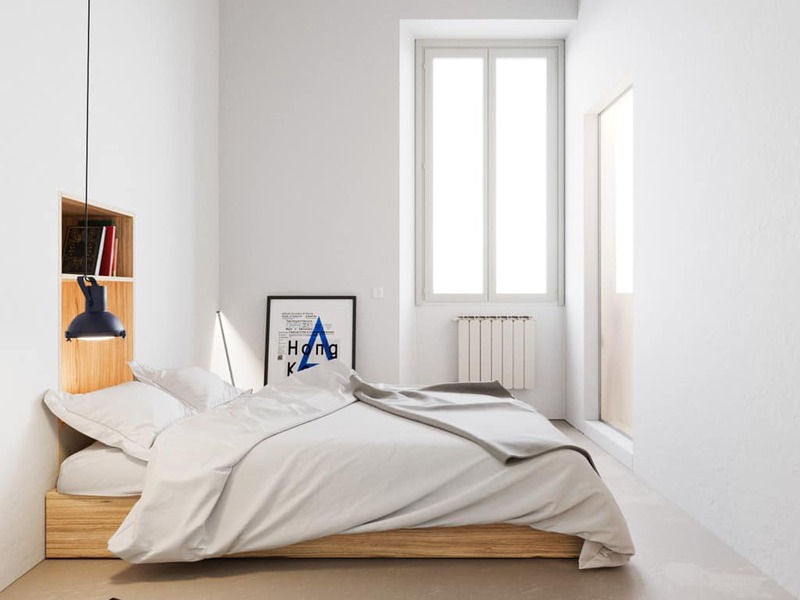 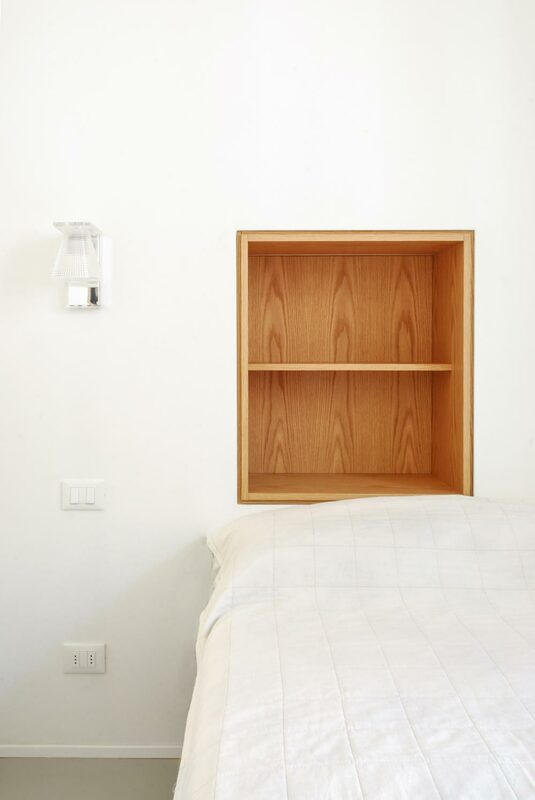 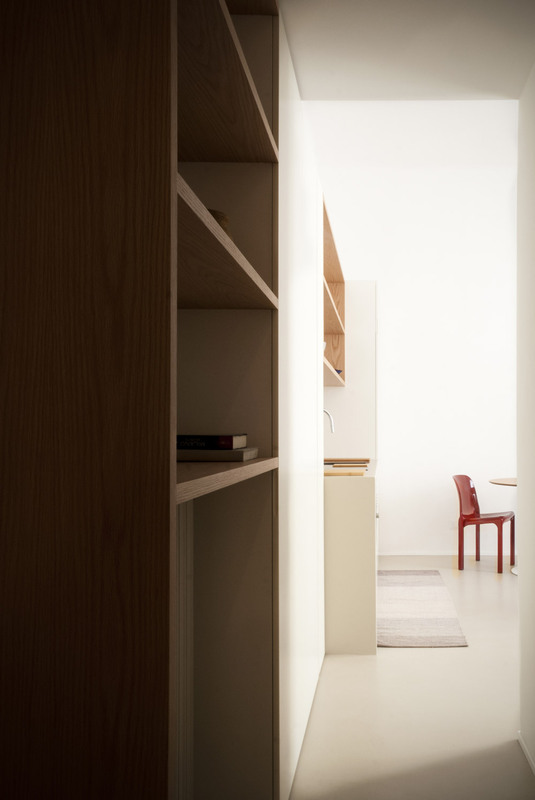 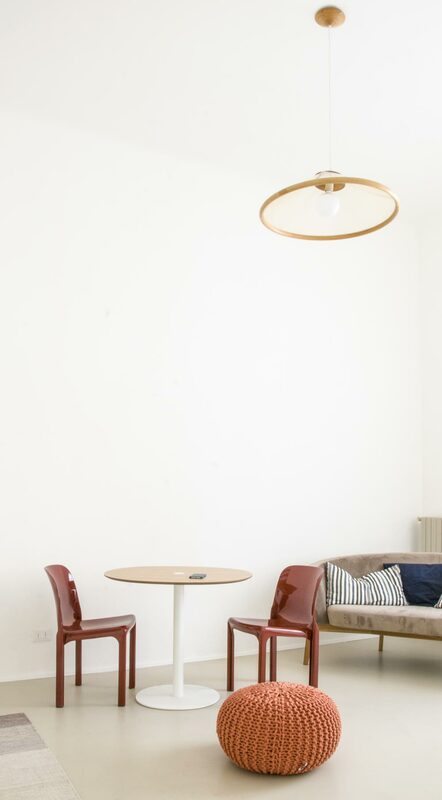 The project aims at the spatial redefinition of a small apartment near the city centre of Milan by introducing a new set of custom made furniture which works as a partition wall, storage cabinet, kitchen connecting bathroom, bedroom and living room. 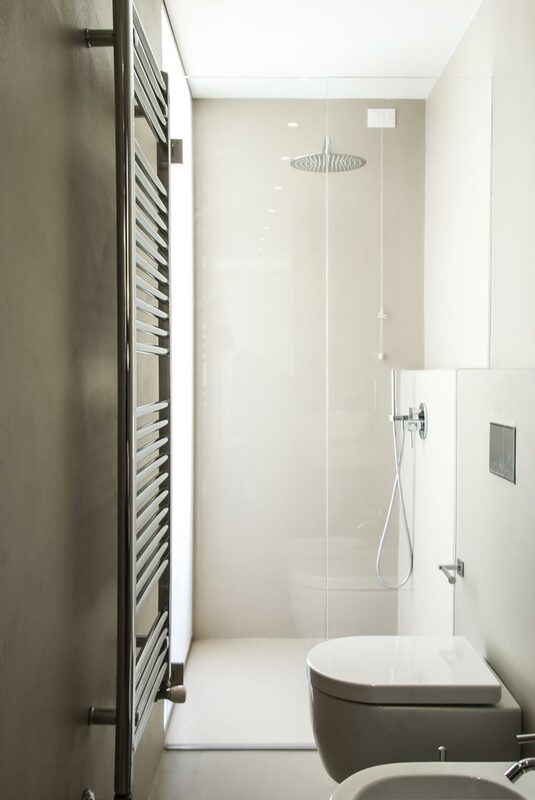 A new cement floor links together the different rooms and envelops the whole bathroom, covering the walls and ceiling. 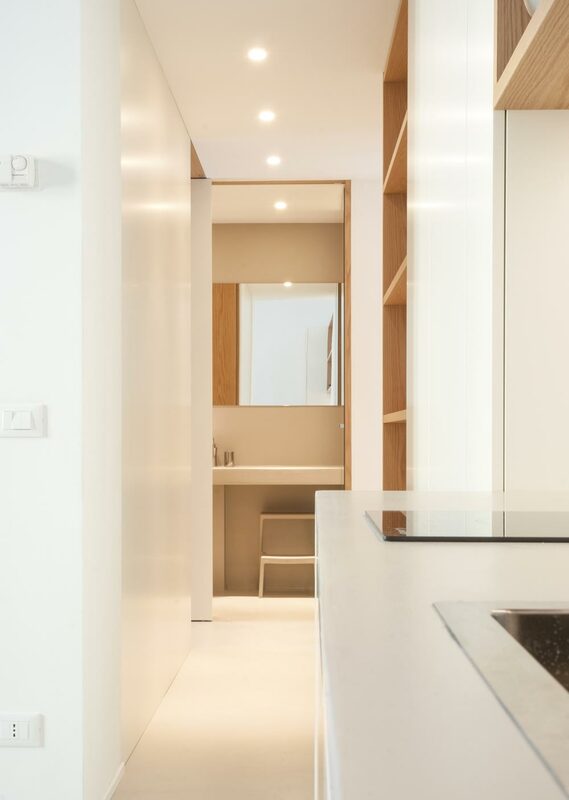 An opening in the bathroom wall, allows for sunlight to filter in through a frosted glass.